Forty minutes south of the town of Forks lies one of Olympic National Park’s most stunning ocean beaches, Kalaloch Beach. Enjoy the sights and sounds of the crashing waves while exploring tide pools, hiking along the lush, forested bluffs, or while sitting around the campfire at the Kalaloch campground. To truly experience the wonder of the beach, you'll enjoy Kalaloch Lodge, host of our lodging during our Olympic Park hiking tours. All-inclusive with dining and transport. Kalaloch Beach is located on the Pacific Ocean, just off Olympic Highway, WA-101, 40 miles south of Forks, WA. 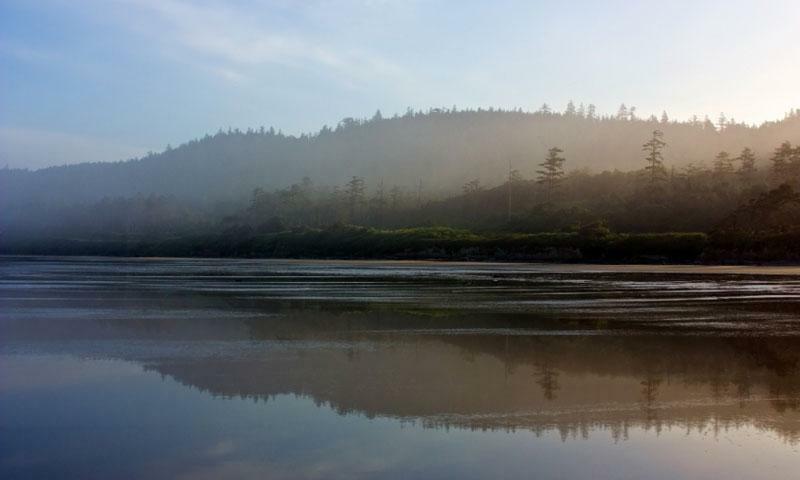 Explore tidepools, observe the puffins, and hike the eight beautiful Kalaloch trails. 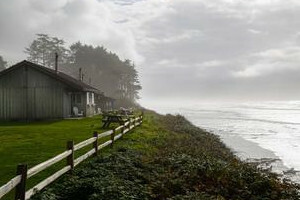 Camp on the bluffs overlooking the beach at Kalaloch Campground or stay at the scenic Kalaloch Lodge and Cabins. What can I see and do at Kalaloch Beach? Tide Pools: Low tide is a great time to explore Kalaloch Beach! Kalaloch features miles of shallow pools that frequently feature large, colorful starfish and anemones. Beach and Nature Trails: There are seven beach trails and one nature loop that will allow hikers to enjoy the very best of Kalaloch. Explore the rare spruce burls on Trail 1. Trail 4 features great views of ocean bluffs and sea stacks. Birdwatch: Kalaloch Beach is home to many unique and rare birds. Birdwatchers have a possibility of viewing common murres and tufted puffins year round, as well as Bald Eagles and Steller's Jays during the summer. Camp on the beach: At the Kalaloch Campground visitors can camp directly on a bluff overlooking the beach. The Kalaloch Lodge: After hours enjoying the beaches of Kalaloch, rest in comfort at the Kalaloch Lodge & Cabins. Many of the rustic rooms feature fantastic views of the Pacific Ocean. Without televisions or wireless connection, the Kalaloch Lodge and Cabins is a great place for guest to curl up in a blanet and enjoy a book, time with family, or the always fantastic view. Kalaloch Beach is located just off Olympic Highway, WA-101, 40 minutes (or roughly 35 miles) south of the town of Forks, WA. When are the Kalaloch Beaches open? Kalaloch Beach is open year round. How much does visiting Kalaloch Beach cost? Visitors do need to pay for a $15.00 Olympic National Park Entrance pass before arriving at Kalaloch. Those wishing to camp at Kalaloch Beach Campground during the summer should visit recreation.gov for seasonal prices and to make reservations.